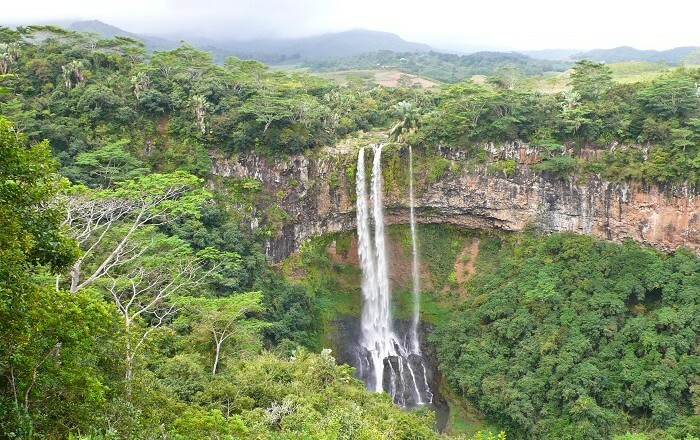 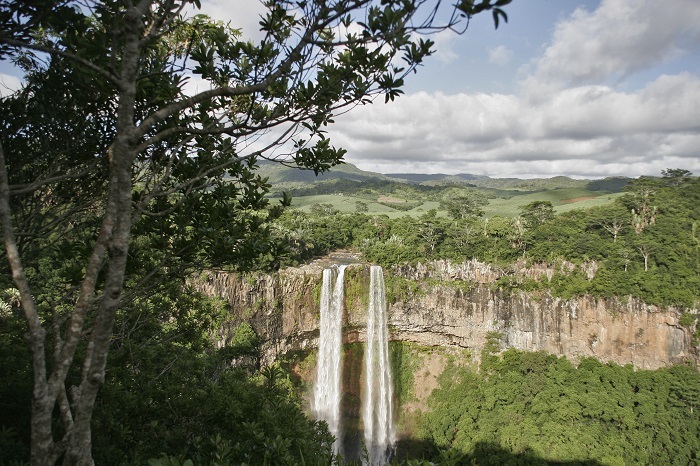 The Chamarel Waterfalls are considered to be the biggest waterfalls that are located on the island of Mauritius, in the Indian Ocean, which are formed by the River St. Denis, and have a height of 83 m (272 ft). 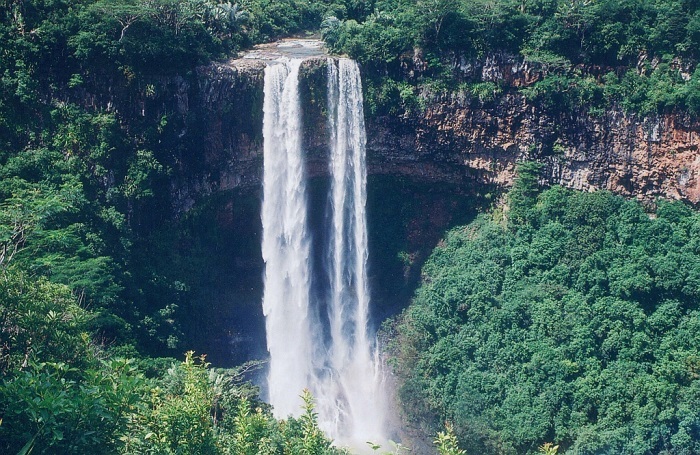 They also are surrounded by lush vegetation of the Black River Gorges, where you can have a vivid view of the waterfalls from both, a lower and an upper viewpoint, from the Black River National Park. 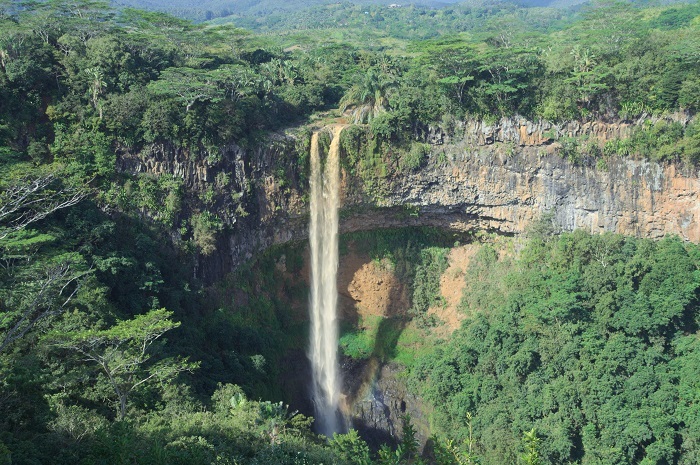 There are three distinct streams of water plunging down from the St. Denis River into the gorge. 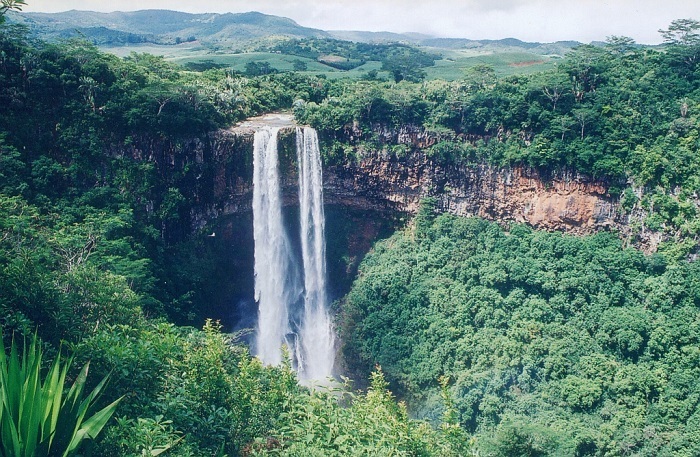 The St. Denis river flows through fields, gorges and green spaces seawards and makes alluring and splendid view. 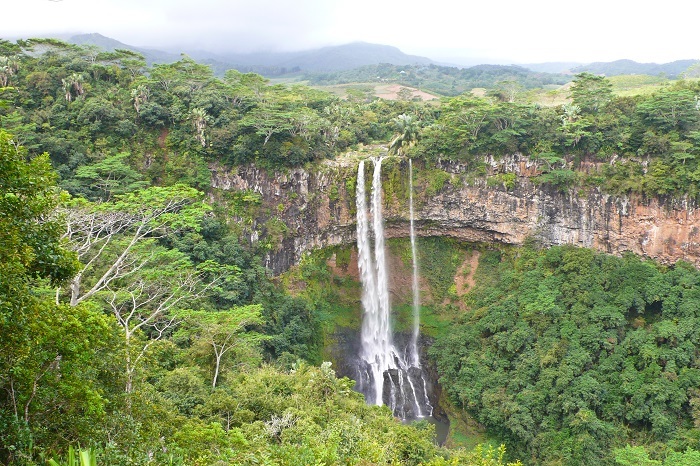 Many people consider this the most beautiful waterfall on the whole island, which truly is magnificent and breathtaking. 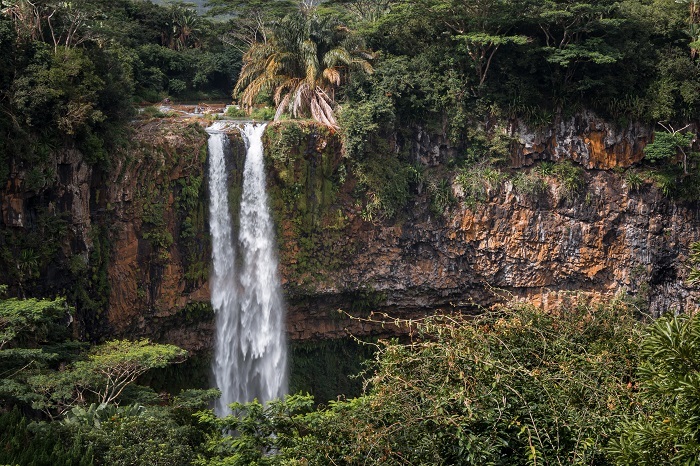 However, you will also have the opportunity of seeing some wild monkeys when viewing the falls although if you get the chance to be there, do be aware not to leave your belongings unattended for the monkeys to take. 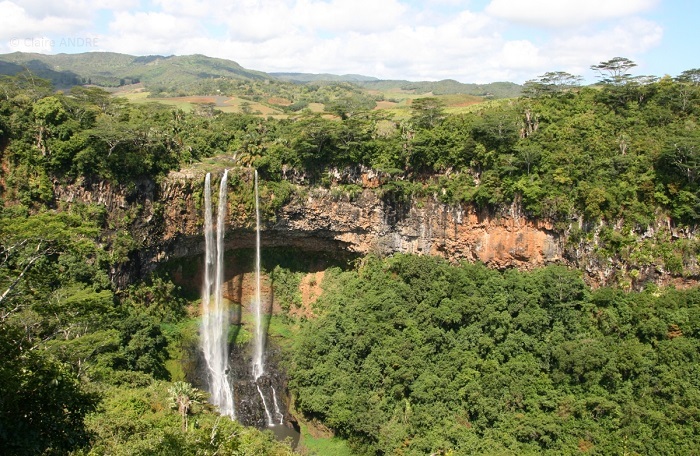 Tourists can choose to see the waterfalls from the upper deck situated at the Chamarel Seven Colored Earth reserve, or, can head down the trail to enjoy shallow water swimming at the bottom of the Chamarel falls. 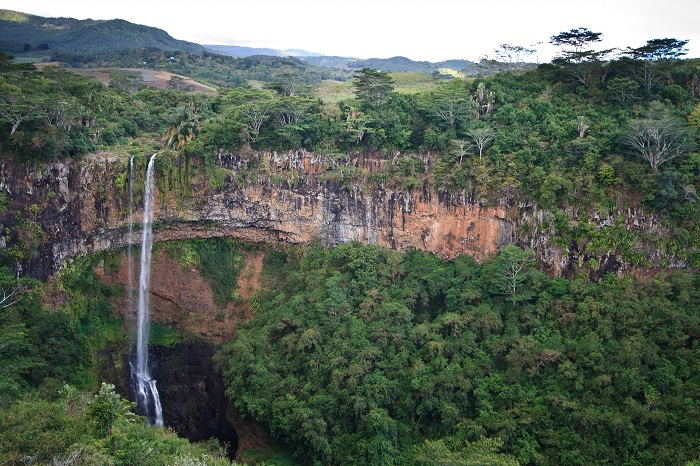 The waterfall has its biggest flow of water between December and April, when there are a lot of rains.